The PRINCE2 Foundation course is a 3-day program aimed at developing an understanding of the elements that make up the PRINCE2 project management methodology. Throughout the training, we will explore the composition of the methodology and illustrate how it is applied to facilitate a controlled project management environment. A unique feature of our Foundation training is that through the use of case study exercises the Foundation program also supports key elements of the PRINCE2 Practitioner syllabus on which the Practitioner certification exam is designed to. PRINCE2 Principles: The seven principles form the framework on which the PRINCE2 project management training method is based on. PRINCE2 Themes: The management themes are aimed at building knowledge of the project management functions required to control a project. PRINCE2 Processes: There are seven management processes as outlined below. These processes provide a logical step-by-step guide on when, how and who should apply selected project management activities. 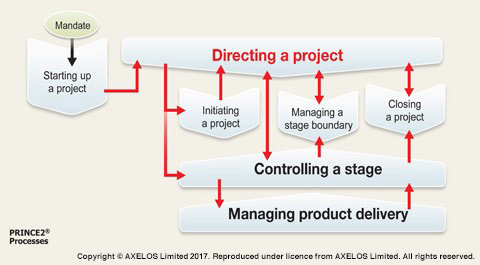 Project Environment: This element of our PRINCE2 project management training provides guidance and examples on how PRINCE2 can be used and embedded as part of the organization’s way of working. Foundation certification exam: Foundation exam is completed at the end of day 3. The aim of the Foundation exam is to assess a participant’s understanding of the PRINCE2 methodology. Our training program includes revision and exam technique sessions, plus two sample exams to be completed by participants. Sample exam questions are reviewed together with the trainer to further the participant’s knowledge and provide guidance on approaching the exam. Our PRINCE2 Training Melbourne & PRINCE2 Training Perth comprises a mix of learning techniques including presentations, review and revision sessions, sample exam questions, class and case study exercises. Our training program is designed to facilitate an active and an enjoyable learning environment. Learn PRINCE2 project management by attending one of our public training programs. View our next training dates.